Today I was interviewed on Chicago's WBEZ Worldview radio program about my documentary film, A Struggle for Home: The Crimean Tatars. Today I was interviewed on Chicago’s WBEZ Worldview radio program about my documentary film, A Struggle for Home: The Crimean Tatars. 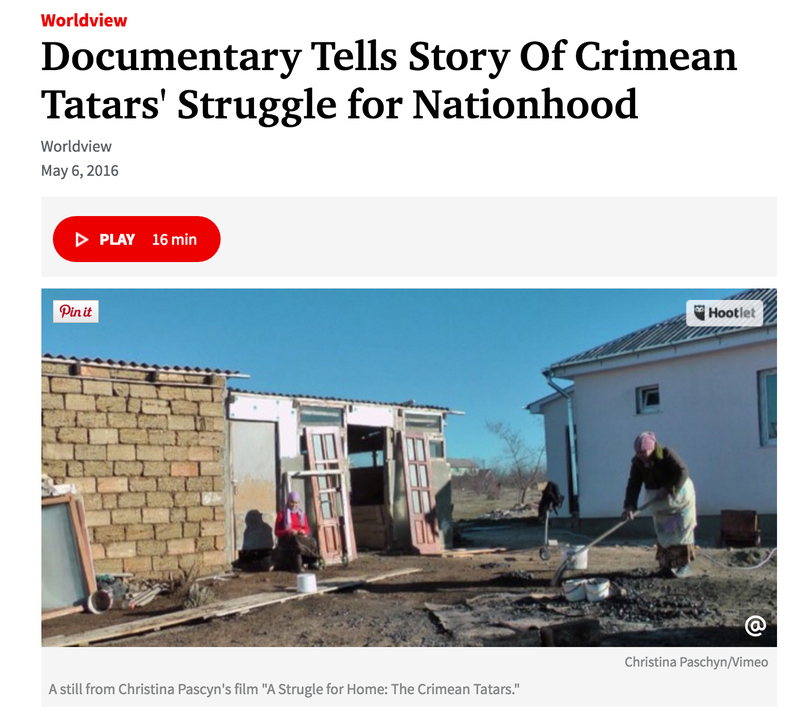 I spoke about the process behind my film, the history of the Crimean Tatar people, and the struggles they are currently facing under Russian occupation. Check it out here. And if you’re in town, the film screens tomorrow, May 7th, at 4pm at Chicago’s Ukrainian National Museum. Enjoyed the movie very much. Highlights an issue that deserves more attention.